If you struggle with fibromyalgia, persistent back pain or chronic pain, chances are you have been prescribed some type of opioid medication to treat your condition. Chances are that you also have been approached by your healthcare provider to sign a pain management agreement. If this is the case, it is important that you understand what is being asked of you before you sign the contract. What Is a Pain Management Agreement? A pain medication agreement is a contract between a doctor and a patient. The goal of the agreement is to ensure that patients who are taking opioid drugs do so exactly as their doctor has prescribed. In theory, these agreements are not only designed to protect the patient from drug abuse, but they also protect the doctor in case the patient abuses the medication in some way. Years ago, pain medication agreements were rare. Typically, they were only required by pain clinics and pain management specialists. But with the increase in opioid addictions, along with DEA scrutiny of any doctor who prescribes the medications, more and more general and family practitioners also are requiring patients who take long-term opioid pain medication to sign them as well. Generally, doctors who use these contracts say they are an effective way to let patients know what to expect while under their care. They also believe the contracts let patients know how to use the medications safely, including how to store them at home. But critics of the agreements worry that the contracts undermine the patient-doctor relationship. For instance, they are concerned that the contracts put those suffering with chronic pain at the mercy of the provider. They maintain that those with chronic pain are already vulnerable and that the agreement shifts the balance of power in favor of the doctor, leaving the patient disempowered and at risk. Another concern is that the contracts are often worded in a way that is offensive to patients and creates animosity among the doctor and the patient. Meanwhile, some patients feel like they are treated like drug addicts even though they have always used their medications responsibly. If you are asked to sign a pain management agreement, it is essential that you understand every detail of what you are signing. This way, you will be able to abide by all the rules and stipulations spelled out in the contract. If you do not understand something, be sure to ask. Remember, failing to follow all the terms of the agreement can have dire consequences. For instance, if you do not follow the agreement or do something that is forbidden, your doctor may refuse to prescribe any additional pain medication for you. You also could be dismissed as a patient. And if you are dismissed, it can be much harder to find another doctor to take you as a patient and treat your condition. Although the details of every agreement vary from doctor to doctor, there are a number of elements that are consistent throughout. 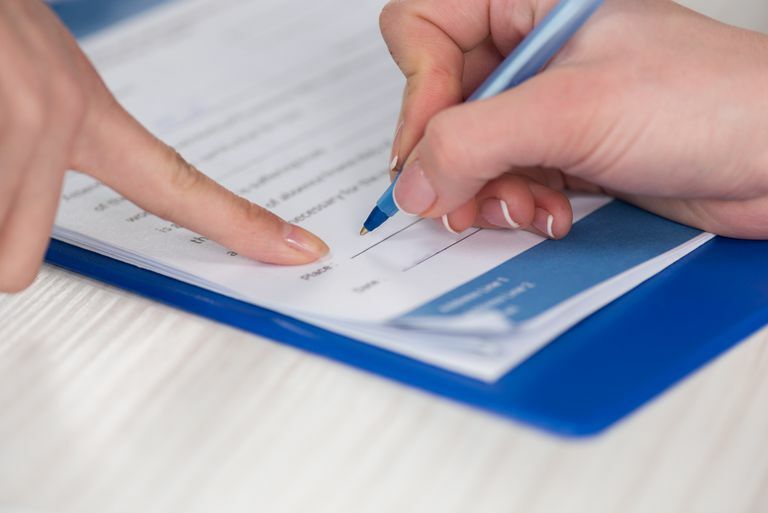 Here is an overview of the top five things you need to know about pain management agreements before you sign your name. If you cannot agree to these basic elements, then a pain management agreement may not be right for you. 1. You agree to take the medication exactly as prescribed. What this means is that you must take the exact amount prescribed at the exact time intervals or risk being terminated from the agreement. So, even if you feel like you do not need to take your pain medication one day, you still must take it. You cannot decrease your intake or save meds on a low pain day to then take later on a high pain day. Likewise, if you feel like you need more pain medication on a given day, you have to be willing to do without unless your doctor writes a new prescription. Do not under any circumstances change the dosage on your own. Many doctors do drug testing and if they find you have too much in your system, they may assume you are abusing the drugs. Likewise, if you have too little of the drug in your system, they may think you are selling the medication or giving it to someone else. 2. You agree to random drug testing. This stipulation is usually part of the agreement because doctors want to ensure you are not abusing the drugs. They also want to be sure you are the only one using the medication. As a result, they randomly test you and then measure how much of the drug is in your system. Remember, because prescription drug abuse is so prevalent today, doctors have to be extra careful. It's not that they do not trust you or think that you are a drug addict. They could lose their medical license and face criminal prosecution if they are prescribing controlled substances to people who are either abusing them or selling them to others. As a result, these agreements are designed to protect them. What's more, pain management agreements typically require you to keep all your scheduled appointments and only allow for one or two cancellations before terminating you as a patient. They make this stipulation to keep patients from canceling because they fear the drug test will reveal that they are not taking their medications as prescribed. 3. You agree to get all your prescriptions filled at one pharmacy, and you agree to allow the doctor and pharmacist to share information about you. When people abuse drugs, they often try to get prescriptions from multiple doctors and then fill them at different pharmacies. Because prescriptions are now entered into computers often with interconnected databases, this practice is currently much more difficult to get away with. Consequently, if you sign an agreement with your physician, be sure you only shop at one pharmacy. 4. You agree that lost, stolen or destroyed medications will not be replaced. If this stipulation is part of your pain management contract, be sure you safeguard your medications at all times. In other words, make sure no one else has access to them. Ideally, opioid medications should be kept under lock and key. There are some agreements that allow a doctor to use his own discretion if your medication is stolen and you file a police report. But remember, he usually is not required to replace the stolen medication. So you will be forced to do without pain medication until your prescription can be renewed. 5. You agree not to request nor take pain medications from other healthcare providers. Even if you visit the dentist or the emergency room, these doctors cannot prescribe pain medications for you. And, if they do, you will be violating your pain management agreement. Only your pain management doctor can prescribe pain medications. And pain management contracts typically require you to make all other healthcare providers aware of your agreement. As a result, if other doctors want to prescribe medications for your injury or after oral surgery, they will need to go through your pain management doctor. Due to the drug tests you are taking, your pain management doctor will be able to tell if you have taken something that he has not prescribed. So do not take medications prescribed by other physicians without talking with your pain management doctor first. As with any contract, be sure you carefully read every word of the agreement before you sign it. Ask questions about anything that is not clear to you. Then, think about whether or not signing the agreement is the best option for you. And if you do agree to sign the contract, make sure you follow it word for word. You don't want to find yourself in a situation where you can no longer get pain medications for your condition. "Opioid Treatment Agreements or Contracts: Proceed with Caution," PAINS Project. Center for Practical Bioethics. Issue 4; Spring 2014.